Okay, the recipe below is simple but what makes it stylish? To me, its simplicity! The summer heat has finally arrived and the last thing I want to do is to be in the kitchen making complicated things. 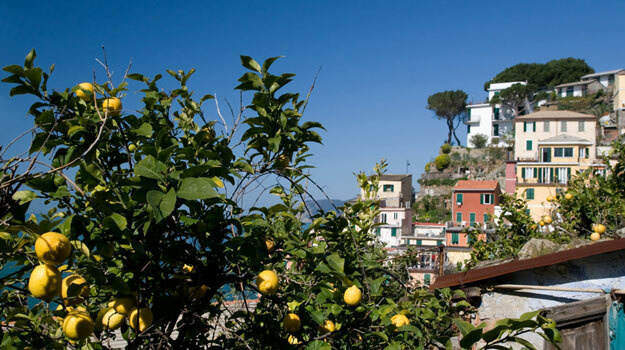 When I’m at the market and see the huge Amalfi lemons, I must make this lemonade and add a sprig of mint. In a small saucepan combine sugar with 1 cup of the water. Bring to a boil until the sugar dissolves. Allow to cool to room temperature then refrigerate until chilled. Put the lemons in hot water for 10 minutes then roll to loosen up the juice. Remove seeds from lemons (leave in as much or as little pulp as you like). Squeeze the lemons in a pitcher, added the chilled sugar syrup and then 7 cups cold water. Ah…memories of Capri! Hope u r well. I’m well. Thanks. And you? I still haven’t made it to Capri. It’s on my list.